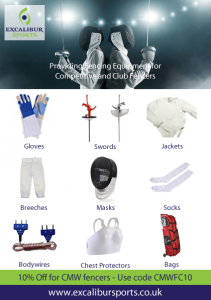 This year’s event attracted 180 fencers through the day. This year saw a different profile, with fewer fencers in some of the junior events, but more fencers in the senior events. As with previous years, the atmosphere was excellent, support from the fencers to referee some of the pooles and earlier DE fights, help with refereeing from various people, made for a lovely day. The CMW helpers were invaluable, fetching drinks, food, water and various other duties. I’d also like to thank Gareth Rainford and Malcolm Palmer for helping with the car park. Four of Clubs also gave their support, which is always welcome. 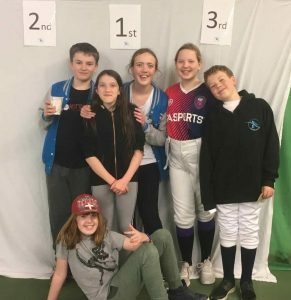 Fencing on the day was of a high standard, especially the U13 and U15 age groups, who needed to fence at their best for the England Selection points. Tomas Kazik won the senior men’s event for the third year in a row and the fourth win for him since we started the Epee Championships in 2012. Quite an achievement! Thanks to everyone who took part and made this year’s event the success that it was.